Here is our deluxe designed chesterfield Reno, this range is ideal for many rooms, the colours, design and comfort add many great factors to your room. 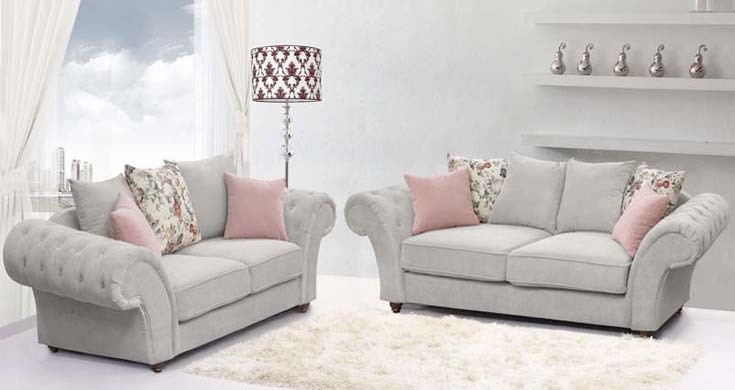 The range includes a 3 seater, 2 seater armchar and a king size large corner sofa. Each sofa includes all the scatter cushions as pictured. If you have any further questions please contact us by phone, live chat or email and one of our agents will be happy to help.